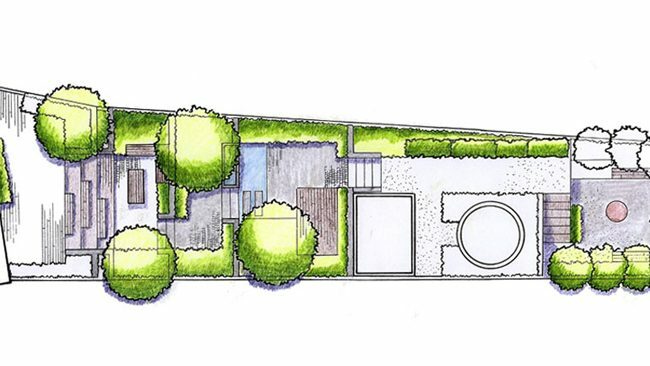 Inspired by the contemporary architecture of the Huf house the garden is made of long and simple rectangles called « runaways » which are an invitation to the wider landscape of Kent. Around the house a reflective contemporary pool enhances the impression of space given by the long rectangle. 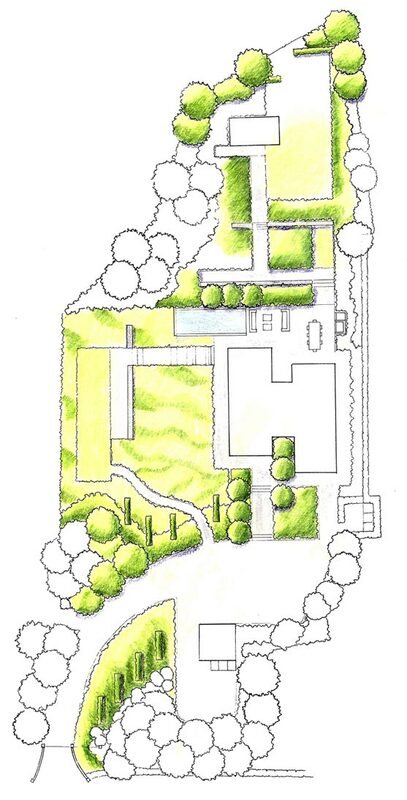 On the east side a long and square path going through a large meadow leads to a formal lawn. This provides a strong contrast between the square lines of the path and the wildness of the meadow. 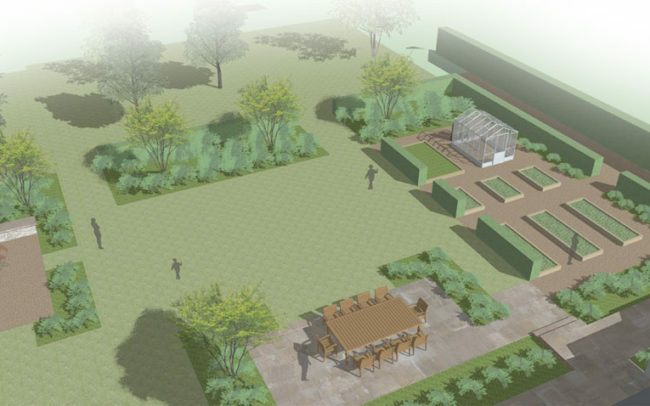 On the south side two long square paths orientated towards the woodland and the summer house give an impression of space. The visitor can enjoy dynamic views on each side thanks to the asymmetric layout. 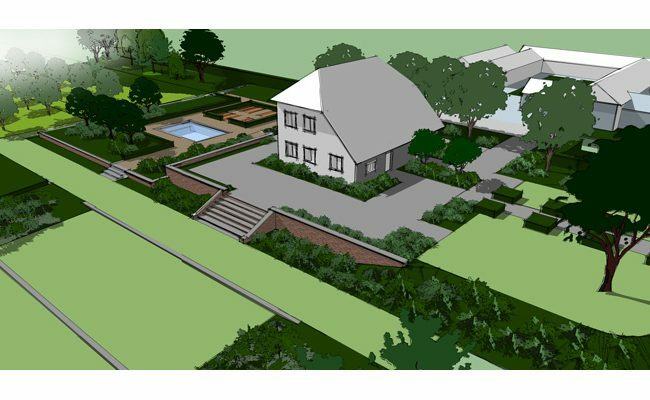 The south garden is composed of two different levels to minimize the groundwork and to allow a comfortable walk without blocking the view from the modern house. Would you like to arrange a consultation ?